Why do so many people drive the Chevy Spark in Rockville? •	The Chevy Spark is a good value, reliable compact car. •	It comes equipped with a fuel-efficient 4-cylinder engine, together with a standard five-speed manual or an available CVT and an estimated 38 MPG on the highway. •	There's seating for four adults and there are 10 airbags, with optional Lane Departure Alert and Forward Collision Warning. •	Onboard Wi-Fi with 4G LTE, Apple CarPlay and Android Auto are standard features. •	It's agile, well-made and will transport you around city streets in the worst of traffic. 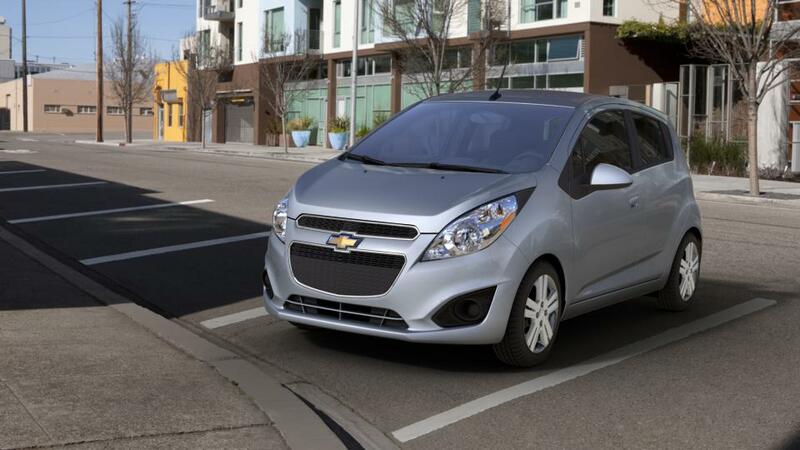 Search our inventory of new Chevy Spark sub-compact cars in Rockville to discover the color and trim that are best for you. See above for more info, or call us at (301) 339-7086 about buying or leasing a Spark.